From the Reutter Porzellan World of Beatrix Potter collection. Height of teapot 5.0cm. A delicate white porcelain tea set consisting of a miniature tea cup, tea pot and plate. 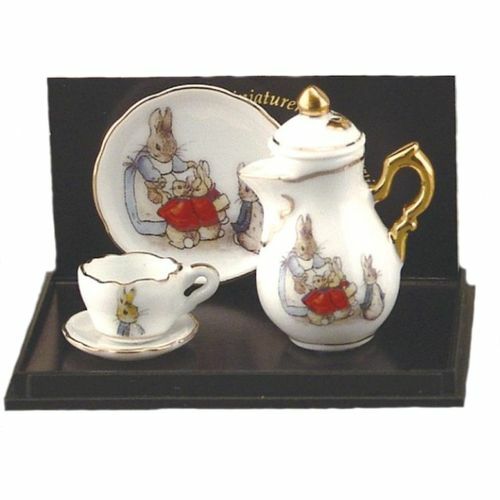 Each item is beautifully decorated with an image from The Tale of Peter Rabbit. An exquisite set that collectors will adore.